The Experiment was by far the most interesting chapter in Walden. I liked Thoreau talked about how and why he ended up going to the woods, as opposed to in the other chapters when he refers to his position in the woods. Thoreau's writing in this chapter was more personal than in any of the other chapters. Thoreau starts by talking about how he thouroughly enjoyed constructing his house. “I made no haste in my work, but rather made the most of it". Because he enjoys building his own house, he questions why other people don't do it themselves. "Shall we forever resign the pleasure of construction to the carpenter?". Overall, I thouroughly enjoyed this chapter because it was more self centered and less analyticall, making it more unique. 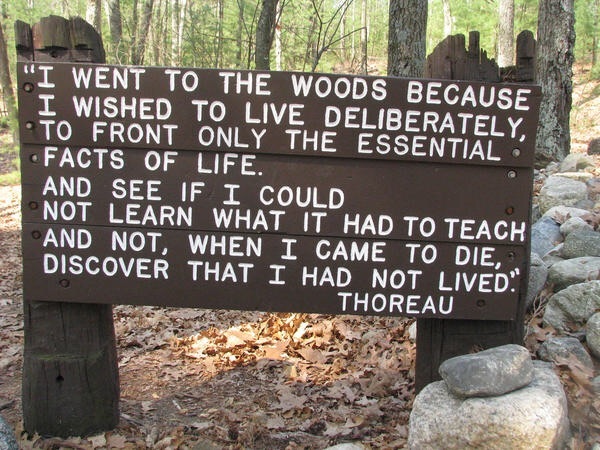 I also enjoyed that Thoreau expressed his enthusiasm. Great job Owen, and you did a good job weaving your quotes in. Good quotes. Nice job! Very clear writing. Nice job with your quotes, nice post overall.